‘E2L is a product design company working in medical and healthcare. One particular area of concern is dementia. Partly because we are all living longer, dementia is on the increase. Young people can also develop dementia. Helping people stay at home as long as possible can be beneficial to their quality-of-life. Verbal communication is often difficult due to short-term memory loss. Improving the quality of life at home may be greatly enhanced by providing music from earlier years. 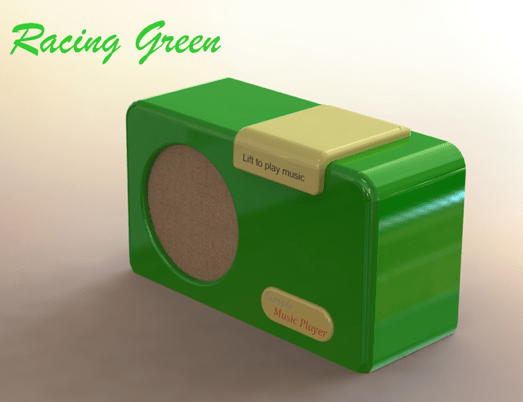 We became aware of an extensive research project undertaken by Bath Institute of Medical Engineering, UK, which evaluated the concept of a simple-to-use music player, and we decided to collaborate on the design and development and turn it into a viable product. Essentially there can be great benefits when providing people who have dementia with the type of music they enjoy. However, people with dementia may forget how to manipulate controls on appliances, gadgets or audio equipment. Consequently we’ve built a SIMPLE MUSIC PLAYER to address these issues. If you wish to know more about music as cognitive stimulation, checkout this video: http://youtu.be/fyZQf0p73QM and you’ll be amazed at the results.